Welcome to Week 10 of Year 6 here at Paint Party Friday! This week random.org chose #29 - June Walker. 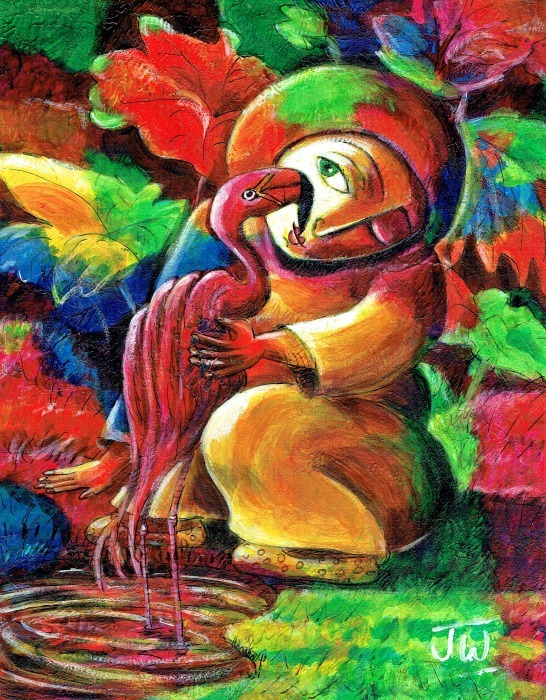 June just finished up a vibrant and whimsical painting she started a few years ago inspired by a trip to her local zoo. It's always so satisfying to finish a painting one's put aside, isn't it? Have a beautifully creative week! 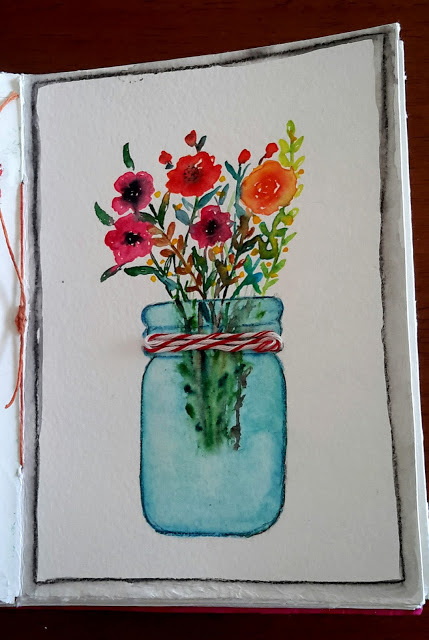 Welcome to Week 9, Year 6 of Paint Party Friday! This week, the random.org number generator chose #50: SusanAriel. 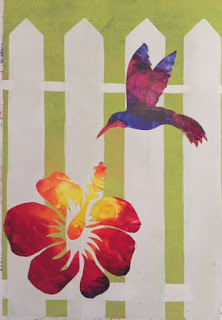 Last week Susan shared beautiful paintings from a "100 Days Project" that she is doing in watercolor and mixed media. This bright and cheerful piece is "Day 8". 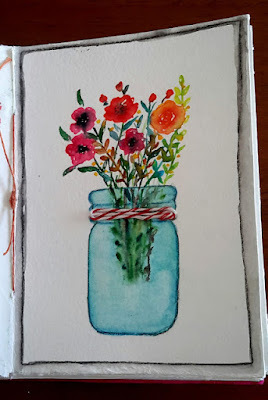 Please be sure to stop by her blog to see Days 9, 10, and 11, and to cheer her on as she paints her way through 100 days! Have a bright & cheerful week!